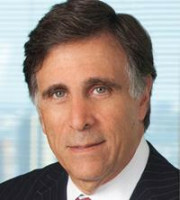 Evan R Chesler is Cravath, Swaine & Moore LLP’s chair. One of the most highly regarded litigators in the United States, Mr Chesler has extensive experience handling trials, arbitrations and appeals in a wide variety of matters, including intellectual property, for clients in virtually every industry. He has achieved numerous successes for major pharmaceutical and technology companies in ‘bet-the-brand’ litigation over valuable patent rights. Mr Chesler recently represented Merck Sharp & Dohme as plaintiff in three separate patent infringement actions concerning its antifungal agent Noxafil. He secured a trial victory in one suit upholding the validity of Merck’s patent; the other two actions settled. Mr Chesler represented Mylan in winning both a judgment after trial upholding the validity of its patents on respiratory drug Perforomist and a Federal Circuit Court of Appeals decision concerning the validity of pharmaceutical composition patents covering the drug. He also obtained a Federal Circuit decision (following appeal to the Supreme Court) invalidating certain patent claims asserted against Mylan’s generic version of the multiple sclerosis drug Copaxone. Mr Chesler’s other representations include winning a validity challenge for Novartis after a jury trial in its patent infringement suit against Teva Pharmaceuticals relating to antiviral drug Famvir and securing a damages award of over $442 million for Bristol-Myers Squibb and Sanofi-Aventis in patent infringement litigation against Apotex regarding Plavix. He also successfully represented DuPont in a patent infringement suit concerning the process used to manufacture certain compounds in Teflon products and Qualcomm in actions brought by Broadcom concerning 3G mobile phone technology. Mr Chesler has been recognised as a leading litigator in the IP arena by numerous professional publications, including Chambers USA, Chambers Global, Legal 500, Benchmark Litigation and The Best Lawyers in America. Mr Chesler received an AB in history from New York University, an MA in Russian area studies from Hunter College and a JD from New York University School of Law. He previously served as the firm’s head of litigation, deputy presiding partner and presiding partner.